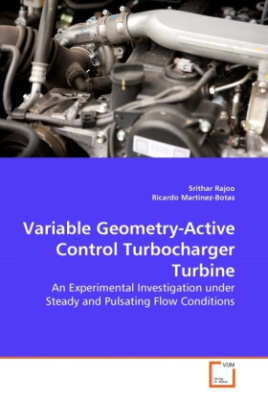 This manuscript presents the experimental evaluation of a variable geometry mixed flow turbocharger turbine under steady and pulsating flow conditions. The variable geometry turbine is tested with two different nozzle vane designs, a conventional nozzle vane with straight-stacking and the newly designed nozzle vane with lean-stacking. The lean stacking design was established based on the lean leading edge geometry of a mixed flow turbine. Comprehensive and scientific elaborations are given on the design process, experimental setup and procedures as well as the extensive performance analysis. Additionally, a novel and patented turbocharging concept is introduced called, Active Control Turbocharger (A.C.T.). It is well established that automotive turbochargers work under pulsating exhaust flow conditions, however this is not taken into consideration in its design process. A.C.T. provides an added advantage to a variable geometry turbocharger in adapting to the pulsating exhaust flow, thus improving energy extractions.